On this 6-hour tour, immerse yourself in Washington Civil War history with an intimate group of 1-6 people. Visit Fort Stevens, The Lincoln Cottage, the Lee Mansion at Arlington, and Robert E. Lee's boyhood home. Next, visit the site of the first Civil War casualties and Fort Ward the most intact example of the 66 forts that surrounded Washington during the Civil War. 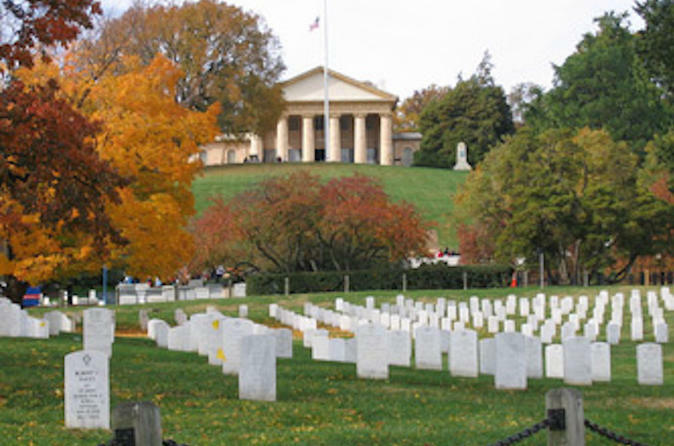 Enjoy round-trip transportation as you discover Civil War heritage in the National Capital Region. Begin your 6-hour tour with transportation from your hotel to Fort Stevens. In your private group of 1-6 people, discover interesting details about the only Civil War battle to take place inside the District of Columbia. A short distance from Fort Stevens is the Lincoln Cottage, a national monument on the grounds of the US Soldiers' Home. Walk through the home of Robert E. Lee where he penned his resignation from the Union Army at the Custis Mansion in Arlington. Visit the site of Lee's boyhood home. Next, discuss the Marshall House incident at the spot of the first Civil War casualties for each side. End your day at Fort Ward, the most intact defensive fort that protected the City of Washington during the war. If desired, take a break for lunch at the Fort Myer Officer's Club or the Army Navy Country Club. 6-hours includes travel time between sites and personalized tours at each location. Enjoy being a part of American history on this exclusive and in-depth tour of Washington, DC.